I fell in love at age 17 with a boy named Marcus. We met in September 2012, and by June 2013, we were dating. Marcus had asked me to be his girlfriend three separate times; I had said no every time because of my fear of commitment. I knew I liked him more than I had liked any other boy, but the label "boyfriend and girlfriend" scared me. Eventually, instead of asking again, he told me that, when people asked him who I was, he was going to say that I was his girlfriend. I appreciated that—I probably never would have said yes due to my own fear. My mom often told me that she loved how Marcus put me in my place. Marcus and I were very similar: extremely sassy, loud, and outspoken. Marcus always told me how it was and never shielded me from the truth. When Marcus and I would get into little arguments, my mom would often take his side (what a traitor, right?) because I can be hard-headed and stubborn at times. But we never ceased to have a good time together. He always made me laugh, and we were constantly cracking jokes. In October of 2013, Marcus told me he loved me. I knew he felt that way long before he told me, but I understood his nervousness. I definitely reciprocated his love. Those who knew Marcus hadn't pictured him discussing a future with a girl, but he and I talked about our future lives together frequently. We talked about when we wanted to get married, talked about having kids, talked about places we wanted to live. In those moments, our plans seemed so tangible. We knew our plans would sound crazy to our parents and friends, but we also knew for certain that we would make it work. The following January, our relationship changed. Marcus began to act distant from me. I was very confused and felt responsible, like it was something I was doing wrong. A few weeks later, Marcus broke up with me. I was completely devastated and heartbroken. Our plans and dreams were gone—vanished in an instant. A week after we had broken up, Marcus asked me to lunch. I was of course open to it; I missed him. At lunch, he expressed his desire to get back together. My immediate answer was “Yes!” But we agreed to think the decision over and give each other the night to fully process the decision. That night, as I was thinking about being with Marcus again, my stomach began to turn into knots. I couldn't ignore the feeling. I heard God whisper to me, Don’t do it. Immediately after, I told Marcus that I had changed my mind, that we shouldn't get back together. I felt complete peace. Marcus was devastated. All I wanted was to be with him, but I knew one thing for certain: I was not supposed to get back together with him. I didn't know why or how I was going to stay away, but I knew God was calling me to sacrifice my desire for Marcus. After not communicating with Marcus for about three weeks, I ran into his friend at school. The news she shared would forever shake me to my core: Marcus had overdosed on pills and was in the hospital. A wave of confusion and absolute panic washed over me. I immediately rushed to the hospital. His mom gave me the latest update, but I was not able to see Marcus. A few days later, his mom asked if I would like to visit him in the hospital. For me, that was a no-brainer. When I arrived, it felt as though we had never broken up. We laughed and had conversations as if we were still together. The story he told at the time was that he had taken the pills "so he could feel better." This explanation never sat well with me. A part of me believed he meant to kill himself. When Marcus was released from the hospital, he moved to an in-patient facility, where he participated in group, individual, and family counseling. Although he hadn't yet admitted to trying to kill himself, the hospital treated it as a suicide attempt and placed him in a program with other adolescents who had tried to kill themselves. After completing the in-patient program, Marcus was placed in an out-patient program, which was designed as a substitute for school and where he would continue group and individual therapy. We began hanging out, acting as a couple. My feelings for him were stronger than ever, and he confessed that his feelings toward me had not changed. Marcus and I talked on the phone every night for at least two hours; this was when he finally admitted that taking the pills was, in fact, a suicide attempt. All I could do was sob. He reassured me that he would not attempt again—I wasn't sure if I believed him. After Marcus completed the out-patient program and returned back to school, I noticed his depression accelerate. We did not talk as often, and he began to push me away. I hated myself for not being able to take his pain away. All I wanted was to make him feel better, but it seemed as though any attempt to cheer him up was useless. I felt so helpless. Watching Marcus decline and his despair and sadness take over his mind was the single most agonizing experience. At this time, I began to see changes in myself. I was rarely ever happy and could not focus on school, my sports, my friends, or my family. I was always preoccupied, wanting to talk to Marcus to find out how he was feeling. I had forgotten about myself. I neglected my own mental well-being. I was completely and utterly miserable. 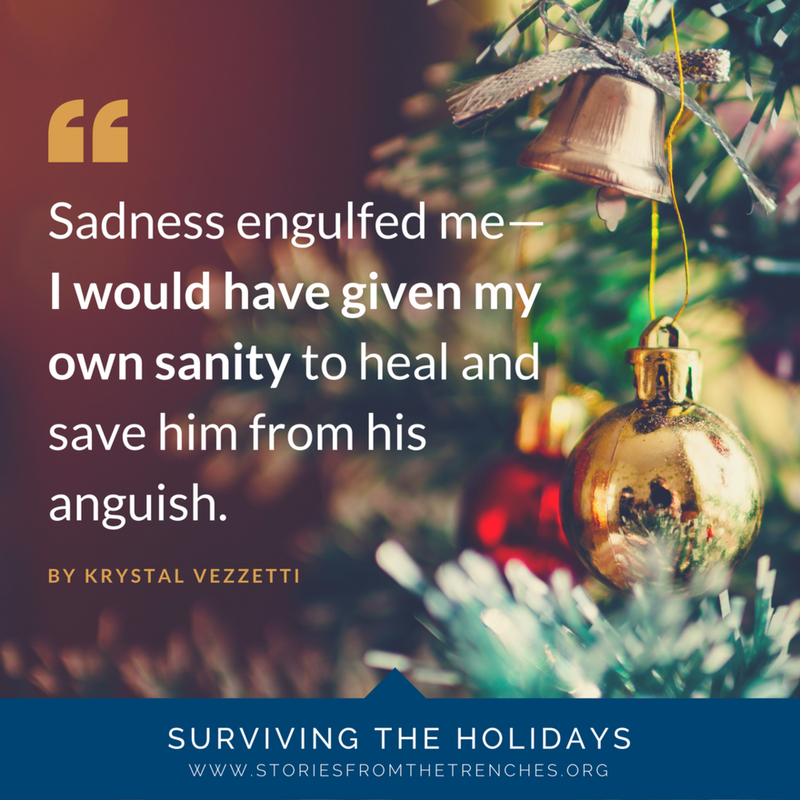 Sadness engulfed me—I would have given my own sanity to heal and save him from his anguish. I hit an all-time low. Eventually, I realized I could not save Marcus. He and I decided it was best to part ways and stop all communication until he was mentally healthy again. He told me that, if and when he got better, we could be together, and that possibility gave me immense hope. A sense of peace washed over me, and it was then that I began picking up the broken pieces of myself that I had neglected. The next few months were extremely difficult. I thought about Marcus every second of every day. All I wanted was to check up on him, but I desired to protect my heart even more. Marcus tried to get my attention and communicate with me in many hurtful ways; this was how I knew his mental state was at its worst. He had never done or said anything to intentionally hurt me before. During that time, I continually told myself that I had no control over what was going on and that God was somehow protecting me. That always put me at ease. In June 2014, Marcus’ youth leader, whom I had come to know very well, pulled into my driveway with my mom, in the car ahead, sobbing. I had no idea what I was about to find out. Marcus’ second suicide attempt had been successful. Although he was not completely gone when I was told, he had minimal brain activity. He officially left us very late at night on June 12, 2014. I felt like I was running on adrenaline and shock for the following days, weeks, and months. I felt that what had happened couldn't possibly have been real because of what that meant for the rest of my life and what that meant for everyone else who loved and cared for him. I had so many unanswered questions, and now, I was never going to get any answers. This eliminated any possibility of him healing, of Marcus and I getting back together to have the happily ever after I had always secretly yearned for. I remained strong for others around me. I was rarely every home—sitting at home meant I had to think, and thinking meant crying, and crying was not something I allowed myself to do often. I was not yet ready to process the loss of my first love, the severity of the depression that killed him, and my heartache resulting from it. Loss took what seemed like forever to finally sink into my mind. It was not until about eight months after his death that I realized my full misery. I secluded myself from my friends and convinced myself that no one had the capacity to care about what I was going through, including God. As I entered college, I began to self-medicate. I knew this was not a way that my heart would heal; however, I felt that I deserved to have fun. But during this phase, I experienced the most torment. Constantly veiling my pain was exhausting, and not being able to express myself to anyone around me was even more draining. I felt trapped in my own mind. At this point, I was truly stuck in a trench of despair and sadness. It was then that I realized that I could not climb out on my own—only by the Lord’s grace. It has now been two years and five months since Marcus’ beautiful soul left this Earth. Only in the past few months has true healing begun. I have recently realized the depth of God’s love for me and the depth of the love He had and still has for Marcus. I realized that, as I am hurting over Marcus, God must be hurting so much more. This was not what God wanted for His precious, compassionate, and extraordinary son. This was the first piece to my healing process. I’m not okay all the time, and that is okay. It is essential to sit in my sadness when it washes over me, but it is also essential not to allow it to be consuming. I can be gentle with myself and give myself grace. If this means that I sit home and cry for the day, then that is what I must do. Feeling is essential. I have loved, and I have lost—this continues to be a concept that is hard for my mind to wrap around. In my optimistic moments, I am truly grateful that God allowed me to love Marcus the last year that he lived. I feel that God hand-picked me for something that He knew would end in death and immense agony, but He planned for me to use this experience to impact others’ lives around me, which He has already allowed me to do. Although this seems to be a hefty task, God has held my hand through the entire process and has shown me hesed love; in the Hebrew language, this means perfect, kind, and merciful love. Grief is a powerful and painful journey, yet the journey is essential in order for healing to occur. It is the price we pay when the person we love is no longer here. When you love so incredibly deeply, the pain of loss hurts that much more. With that being said, the fact that Marcus died by suicide will never be okay—nor the fact that he felt so much pain and agony, that he felt the only way to end his despair was to remove himself from the planet. However, I have realized that I do not ever have to be okay with Marcus dying in order to heal. I do not have to accept the evil doings of this world for God to give me endless peace. My story is not over; it is continually being written. God has given me a sense of hope for the future and things to come. He is also allowing me to linger in my past to fully process the events that I have described. I pray for whomever is reading my story. Whether you are struggling with mental illness, the loss of a loved one to suicide or other causes, or are going through a rough season of life, I would like to tell you a few things. The first: God is waiting for you with open arms. He never leaves His children. He is big enough to accept your anger, sadness, confusion, and depression. He sees your pain, and it hurts Him that you are hurting. Secondly, it is time to start talking! If you do not dig into the traumas of your past, you will always have an underlying sadness. When painful situations in your present life arise, you will be dealing not only with your present pain but also your past pain, which has not yet healed. I also want to tell you that there is hope. I know the feeling of not being able to see any light or goodness in your future, but let me tell you, there is! Trust the process, feel the pain, and feel the joy with no apologies.